For a recent project in my textile design class at FIT we had to make a croquis (a tossed design), keeping in mind the fabric's use. 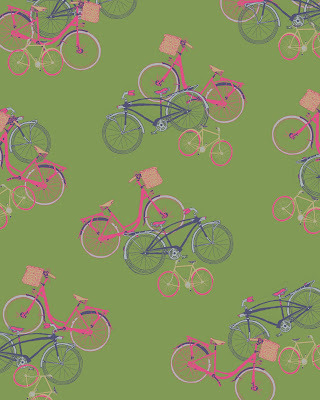 I drew, using Photoshop, these vintage-inspired bicycles and scattered them over the page, on a soft green background. I envision this pattern being used on a mini-dress (think something like this from APC). The next assignment, due tomorrow!, is to index the colors and re-color the pattern two different ways from a previously determined color palette. 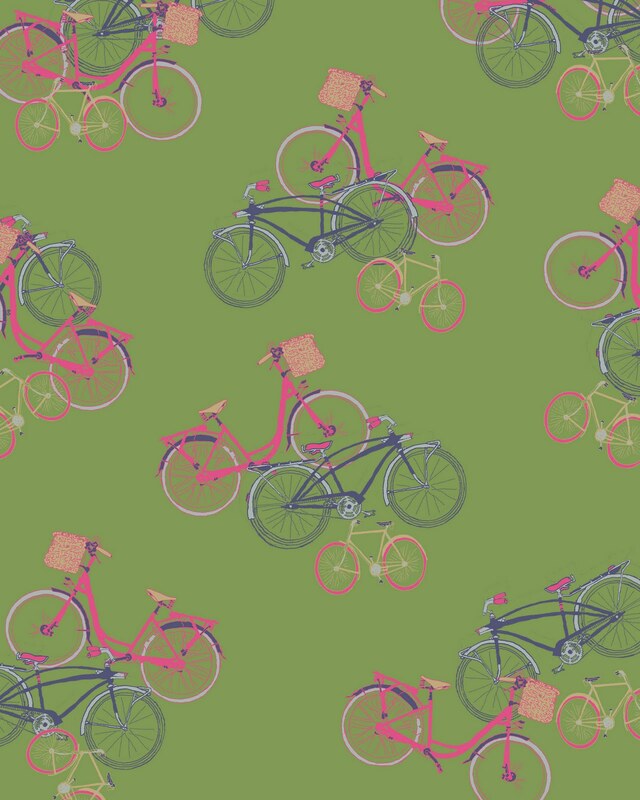 I love the idea of getting an entirely different feel from a pattern using only a subtle change of color. That is fantastic! Great work!!! you should market this pattern.